Beatles Memorabilia – Cavern Club Bricks Selected for eBay Daily Deals! You are here: NECAOnline.com » Blog » News And Announcements » Beatles Memorabilia – Cavern Club Bricks Selected for eBay Daily Deals! Starting on Monday, February 18, this quintessential piece of Beatles memorabilia will be available as an eBay Staff Pick. For $30 (and free shipping! 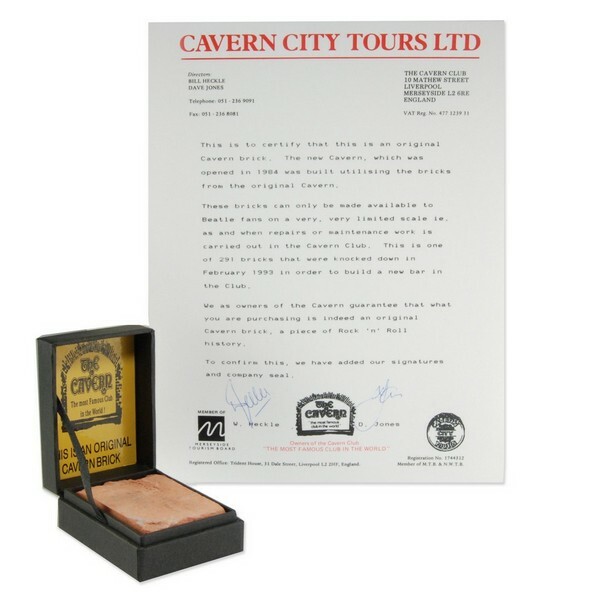 ), you’ll be able to own a genuine brick from the Cavern Club where the Fab Four played one of their most iconic early shows in 1961! It was 52 years ago this week that the Beatles first played the Cavern Club, and 50 years since returning after the release of Please Please Me in 1963, and we couldn’t be more thrilled to have eBay honoring the occasions by making the Cavern Club brick a Staff Pick for the week! This is an actual, authentic brick from The Cavern – the club that made The Beatles famous! The Cavern is located in Liverpool, England and The Beatles first performed there on February 9, 1961. The club was rebuilt in 1984 using the bricks from the original Cavern. When the club was renovated in February 1993, only 291 bricks were removed to be made available to fans – this is from one of those 291 bricks. It comes in a protective sleeve inside a black presentation box embossed with the Cavern’s logo (and with a Certificate of Authenticity to ensure that you are getting the real thing)! The Staff Pick selection ends on February 24, and once these bricks are gone, that’s it! Special thanks to the eBay staff for their excellent taste! 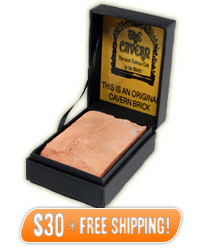 At just $30, a Cavern Club Brick is a great gift for Father’s Day, a birthday, or really any occasion for the rock and roll fan in your life. But We Have More RARE Beatles Items TOO!